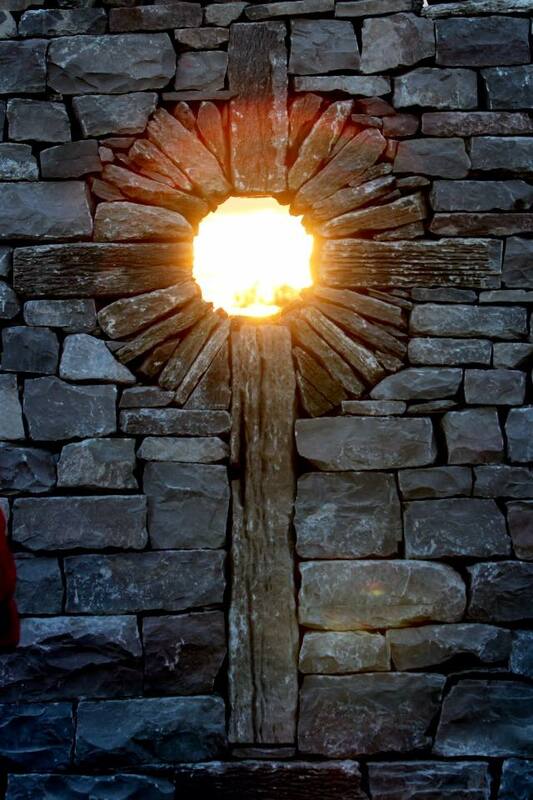 Please gather at the Dry Stone Walls opposite the school on September 27 at 6ish, an hour or so before sunset, to witness the sun setting through the ocular! Bring some nibblies to share, your favorite beverage, chairs and the words to “Here Comes the Sun”. Some wallers (Norman Haddow from Scotland and Ken Curran and Sunny Weiler from Ireland) who helped build the walls three years ago will attend. Thanks to Elly and Dayle Gowan!